Dance Marathon Involvement: In 2015‐2016 I served as TitanTHON’s Overall Publicity Chair. It was during this time that I oversaw the Social Media Chair and the Graphic Design Chair roles. I also secured publicity item donations and connected with publicity platforms on campus and within the community. Our followers increased on all three major social media platforms (Facebook, Instagram, and Twitter) by at least 110%. 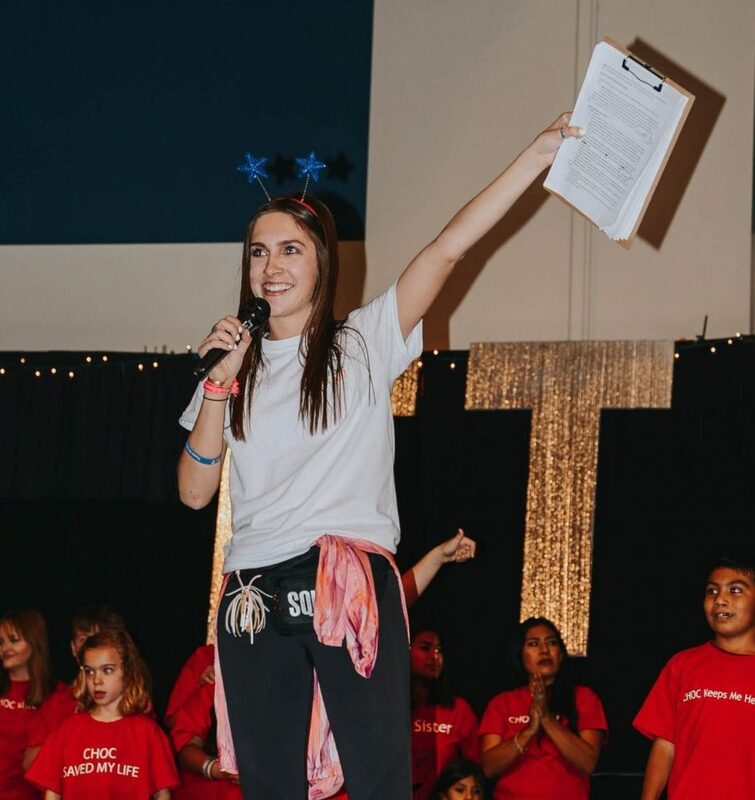 In our third year as a program, our publicity team of three people were chosen to present about our practices at our regional retreat in Fall 2015, held at CHOC Children’s, with other California dance marathon’s in attendance. We raised just over $30,000 this year. In 2016-­2017 I served as the Overall Director of TitanTHON, and added four new positions to lead a 26‐person Executive Board. During the summer of 2016 I was chosen to speak at Dance Marathon Leadership Conference (DMLC) in front of all attendees for a Marathon Moment speech. This was a huge honor for me, and a humbling moment. I feel like I could speak for much longer than this small text box allows about all of the things I am proud of about TitanTHON this past year. Our numbers truly showed our success. Our goal was to raise $51,000, and on March 3rd, 2017 we revealed over $54,000 raised and about $11,000 was raised during that day. 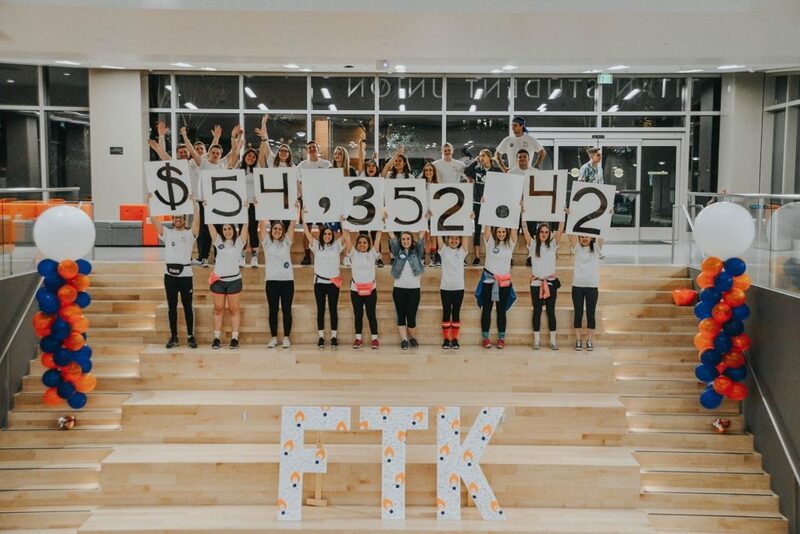 Approximately $7,000 came from in­‐event fundraising during the six‐hour dance marathon; this was a huge jump from the $1,000 raised in‐event the year before. Wilbur speaking on stage at TitonTHON’s 2017 Dance Marathon event. Post-Graduation Plans: I am currently applying to public relations agencies and non-­‐profits who have public relations roles open in the Southern California area. I hope to continually give back to others, because that is when I truly am happiest. The agencies I am applying to still serve companies with a larger purpose. In second grade I was diagnosed with a spontaneous brain hemorrhage. That morning, I walked down the hallway of our home with one hand on my head and the other on the wall as I guided myself down the hallway. My mom still says she remembers my temperature increasing and my pain level staying the same after giving me medicine. After visiting my local pediatrician in my very small hometown in Central California, I was quickly referred to our local Children’s Miracle Network Hospital an hour away, Valley Children’s. This is where I was diagnosed with the spontaneous brain hemorrhage and stayed for two weeks. It was during this time that normal blood work was done, MRI’s and CAT scans were taken, and I was given a temporary shunt. I received MRI’s on a yearly basis after that up until I was 15 years old, to ensure that there wasn’t any further brain damage. Our lives changed very rapidly during these two weeks at Valley Children’s. I don’t remember from the visit, but it still fills my parents’ eyes with tears when it comes up in conversation with others. I’m thankful that I was given the opportunity to exit the hospital and, a month later, continue to lead a normal second graders life. Likewise, I love that Dance Marathon gives me the ability to contribute to kids who are fighting their own battle. 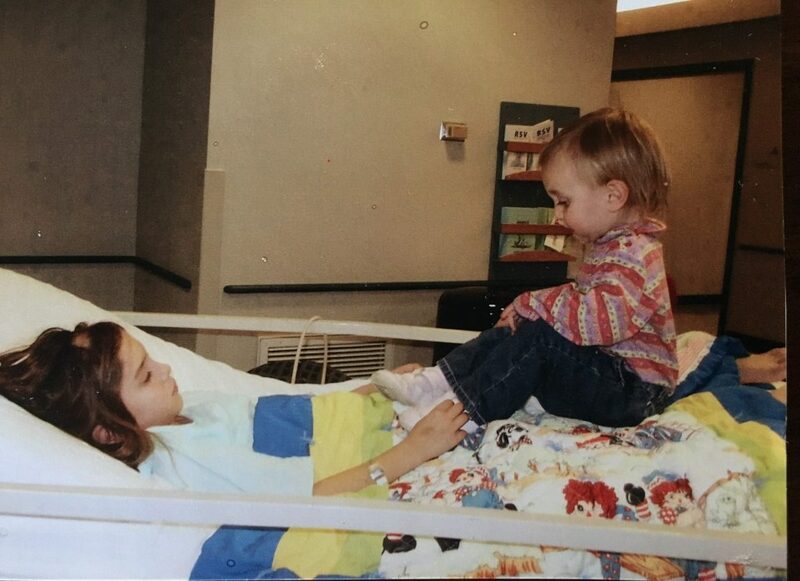 Wilbur during her treatment at Valley Children’s with her younger sister, Grace. I have been involved five other organizations on campus and have held leadership positions in two of them; one of them was even in event planning. But no other experience has made as much of a personal or professional difference in my life. The life skills that I learned as Overall Director cannot be taught or duplicated in a classroom setting. I quickly became in constant communication with departments on campus that most students would not even know that we have. I’ve networked with Presidents of other clubs and organizations to build partnerships and comradely; this was important because our school of 40,000 students sometimes lacks a sense of spirit that other schools exhibit. Dance Marathon is one of the only times on our campus, and so many other campuses, that students step through a door and can wholeheartedly be a part of something bigger than themselves. Students can be at any stage in their life and have gone through any sort of experience, but can all be put on the playing field when at Dance Marathon. The value of their dollar through registering and donating is truly put in perspective when they come to dance marathon and hear the Miracle Kids incredible stories. Fundraising makes students aware that the power of taking the first step and simply “asking” often times results in the realization that people are extremely kind. I was blown away by my donor’s generosity. I was able to raise just over $4,000 alone this past year. Anyone who has gone to a Dance Marathon has always wanted to come back the next year-­‐ it’s the one event that never gets a bad review! Donating to a Children’s Miracle Network Hospital truly means putting your money where the miracles are. I loved this campaign because it truly exemplified the bottom line of why people should donate. I was once I child, and would eventually like to have children. No matter what age range you fall under, you’d like to hope that your local Children’s Miracle Network Hospital is financially supported and fully equipped for any task. Unfortunately, one of my future children may have to be treated at a Children’s Miracle Network Hospital (though I hope not), and when/if they do; I’d hope that a lack of funds wouldn’t be the reason why treatment cannot be given. TitanTHON student leaders with their 2017 fundraising total.